Kids taking part in a mountain bike challenge at last year's Cream o' the Croft festival. 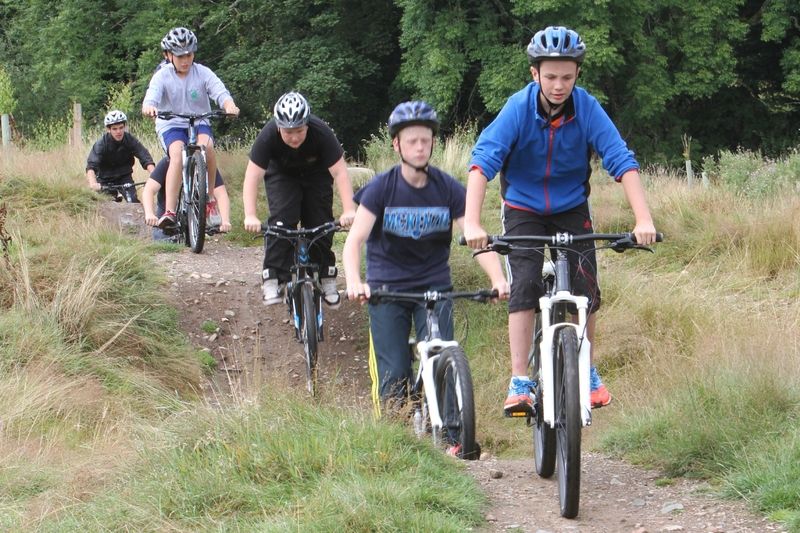 Hundreds will saddle up for a mountain bike extravaganza in rural Perthshire this weekend. The Cream o’ the Croft festival kicked off on Friday with a day of chilled events and challenges at farmland near Crieff. On Saturday morning, more than 1,000 cyclists will take part in the festival’s Enduro challenge, an eight stage 25km race with a 1,000m of descent. And for the first time, hardy souls can put their pedal power to the test with the new Breadalbane 160, a 100-mile circuit around the Perthshire countryside. The new event – known as an audax – is non-competitive, but cyclists have a maximum and minimum speed they have to stick to. Unlike more competitive events, there are no feed stations along the route and cyclists are encouraged to be self-sufficient, carrying their own repair kit and food. Emily Grieve, organiser of the Breadalbane 160, said: “For the uninitiated, an Audax is a long distance cycling event which uses timed checkpoints along the route. “Although short by Audax standards, the Breadalbane 160 will not be a walk in the park. The three-day festival, which also features live music and family games, is based at Comrie Croft. Race organiser Aaron Gray said that the line-up had been revised for 2018, abandoning stages such as the Hill Climb and Pumptrack. Cream o’ the Croft is organised by Muckmedden Events and backed by EventScotland. A Velo Village, including stalls and bike-related fun, has been set up at the croft throughout the weekend. Fife Matters: Common Good or necessary evil?